What's the deal with Phantom Marks so far? Worth investing into the tree for them? Very informative. I went into this with little Jvzoo knowledge and I now feel like an Adwords ninja. It has helped tremendously! Thanks for the info. 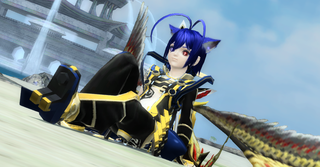 Nyau is one of the most memorable characters in PSO2. Right there with Hitsugi, Enga and Rappy. I'm new to PSO-World and PSO2 in general so I'm not well aware of the amount of Nyau posts or what Nyau is as a character. For a moment there I really thought of Nyau as a bad character added in late development. I religiously wear the Nyau costumes. Though I wish they were expanded upon, same with the Rappies. Maybe it's facial expressions could change so it won't be a mere lifeless fursuit of Nyau. 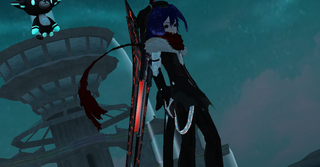 Also it'd be great if we could wear the Sonic, black dress, and Black Nyack Nyau suits. I suppose I do, lol. Thanks! Just tried to be crazy like Jojo. I'm more into T&A but your character isn't bad! Thing that let's them use my computer from theirs kind of like some company's use to fix your computer. omg thank you sooooo much! I was able to access player shops after resetting my password in game, which it finally gave me the option for! I sincerely appreciate you help through this! Thanks! I have only one character believe it or not. Yep all the Fashion I do is from one character.